Have an Idea or Invention? Don't leave your idea unprotected for someone else to steal. 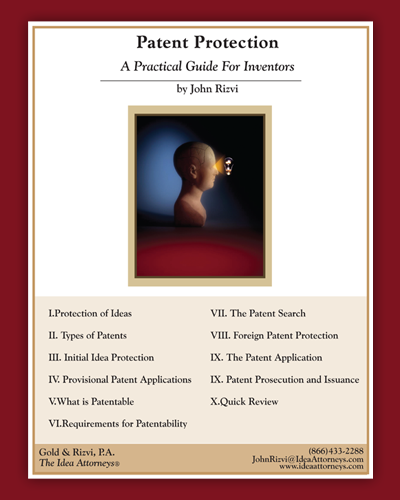 Get the patent process started right away. Your brand is your identity. If your brand is not unprotected someone else could claim rights to it. Take action and get a trademark now. Do you have an idea, product or service you'd like to protect? Don't let your idea get stolen!